A vegan diet, or veganism, is the term used to define a way of living that is devoid of all forms of animal cruelty and exploitation. Anyone on a vegan diet forswears the consumption of all animal products including meat, dairy, and egg. The reason why someone chooses to follow a vegan diet is wide and varied. Some do it based on beliefs while others for the environment or because of health reasons. Here's a quick history from healthline.com to give you an idea how the vegan movement started. The term "vegan" was coined in 1944 by a small group of vegetarians who broke away from the Leicester Vegetarian Society to form the Vegan Society. A vegan diet that favors whole plant foods such as fruits, whole grains, vegetables, legumes, seeds, and nuts. This is a raw plant-based diet also known as low fat, raw-food vegan diet, or fruitarian diet. Vegans who follow this diet limit their food intake on raw fruits and soft greens and avoid fat-rich plants such as avocados and nuts. This is a low-fat, high-carb vegan diet which is quite similar to the 80/10/10 diet method. However, this type of vegan diet focuses on cooked starches such as rice, potatoes, and corn instead of fruits. Vegans who follow the thrive diet eat whole, plant-based diets that are raw or barely cooked at very low temperatures. A combination of 80/10/10 and starch solution that only allows consumption of raw food until 4 pm. This type of vegan diet offers people the option to consume cooked plant-based foods for dinner. This type of diet is for vegans who lack whole plant foods and rely heavily on processed vegans foods such as faux meat and cheeses, fries, and vegan desserts. Chickpeas, also known as garbanzo beans, is a type of legume that is a rich source of protein but low in calories. In fact, it contains approximately 15 grams of protein per cooked (240 ml) cup of chickpeas. It is also high in fiber and is an excellent source of other nutrients such as folate, iron, potassium, phosphorous, manganese, and a whole lot more. Chickpeas are not only nutritious, they are also delicious. There are various ways you can cook it. They can be added to salads or fried and salted. You also have the option of turning them into hummus by pureeing them. Here's a good recipe you may want to try. If you're wondering what quinoa looks like, feast your eyes on the below image. 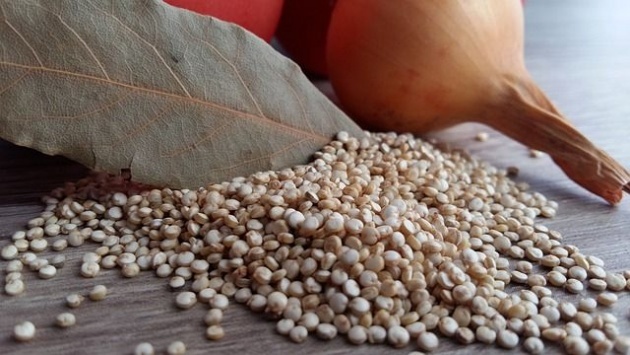 Quinoa is considered as a gluten-free grain. But, unlike other cereal grains, it doesn't grow from grasses. Well, quinoa is technically a seed that's why it is also considered as a "pseudocereal", but we're not interested in technicalities here, are we? No matter what it actually is, it provides a complete source of protein which is very rare among pseudocereals and grains. You may be thinking "Okay, so it's healthy, but how do you cook it?" Quinoa is actually very versatile because you can prepare it in many ways. You can add it in vegetarian chilis, soups, and salads. It can also be served as a breakfast cereal. Add brown sugar and fruit to make it extra yummy. A coconut nut is a giant nut. ...but that's not the kind of nut I'm referring to. I'm also not talking about nuts and bolts (seriously, don't eat those!) or when you go nuts over something or someone. I'm talking about these nuts. 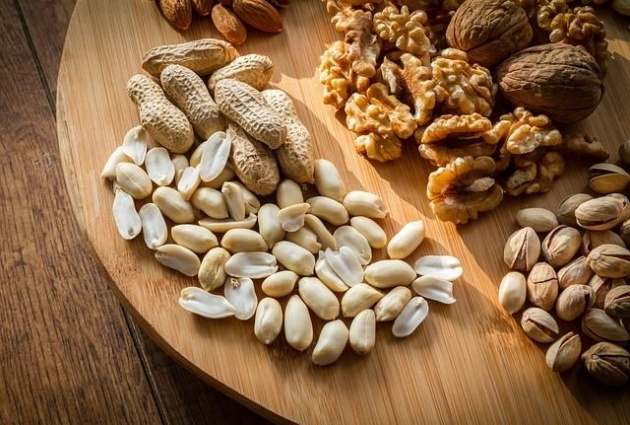 Nuts of all kinds contain healthy fats and protein, as well as antioxidants which makes them an essential part of a plant-based diet. They contain approximately 5 to 6 grams of protein per ounce. However, they are also high in calories which is why you should still consume them in moderation. Additionally, blanching and roasting them may damage their nutrients, so choose raw and unblanched versions as much as possible. Nut butters are also a good source of your daily protein need. However, try to avoid the ones with added ingredients such as sugar and hydrogenated oil. If you don't trust commercial nut butters, you can always make one yourself. It's quite easy too. Watch the video below on how to make DIY nut butters. White, black, heirloom, pinto--the list goes on. I'm talking about the varieties of beans. 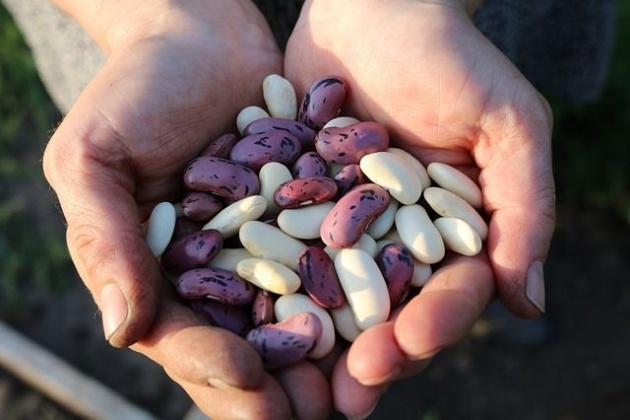 There are different kinds of beans but they all have one thing in common. They are all packed with protein. In fact, two cups of kidney beans contain about 26 grams of protein. Whoa, that's a lot! Cooking them is also not that hard since you don't have to make them from scratch. You can buy them dried. Just soak them overnight before cooking. Another option for you is canned beans if you don't have a lot of time for cooking. You only need to rinse, heat them up, and serve. But seriously, another good source of vegetarian protein is green peas. Who would have thought that these seemingly inconspicuous green thingies actually have 9 grams of protein per cooked (240 ml) cup--that is more protein than a cup of milk has! Green peas are also a good source of magnesium, iron, phosphorous, copper, zinc, and some B vitamins. But, wait! There's more. A serving of green peas can cover more than a quarter percent of your daily fiber, vitamin A, C, K, folate, manganese, and thiamin requirements. There are tons of recipes you can add green peas to. I have a friend who absolutely hates green peas. If you are like her, you can try grinding and adding them to other dishes. If you are looking for a complete source of vegan protein then look no further than soybeans. Soybeans are the best source of whole protein, complete with all the essential amino acids the body needs. So what does that have to do with tofu? As it turns out tofu is made from soybeans. To be more specific, tofu is made from bean curds that are pressed together which is a process similar to making cheese. It contains 10 to 19 grams of protein per 100 grams, as well as calcium and iron. It has a bland taste on its own. To make up for this shortcoming, it easily absorbs the flavor and taste of the ingredients you prepare it with. Additionally, it is so versatile that you can use it in a variety of recipes such as burgers, soups, and chilis. Vegetables don't have as much protein as nuts and legumes, but there are a few that contains some together with antioxidants and heart-friendly fiber. If you eat a wide variety of leafy greens, you can still get a good amount of amino acids. In fact, 1 cup of chopped broccoli contains 8.1 grams of protein while 2 cups of raw spinach contain 2.1 grams. So, what are you waiting for? Eat your vegetables! They're good for you. Hemp is a variety of the Cannabis sativa plant which is closely related to the marijuana plant. It is mainly valued for its fibers that are used to make ropes. As you may have already guessed, I'm not telling you to eat ropes. What we are interested in is its seed. 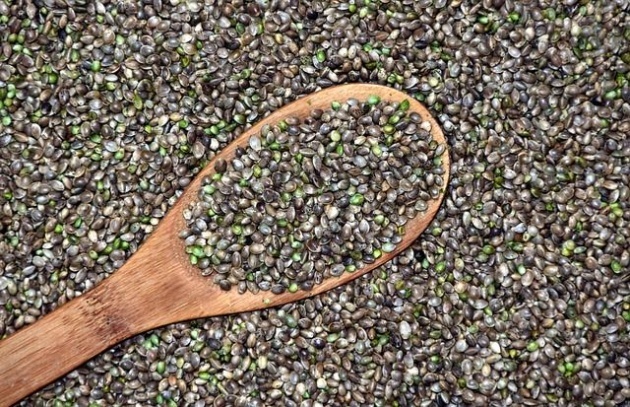 While not as popular as other types of seed, hempseed contains about 10 grams of complete and easy to digest protein per 28 grams. No, it will not give you the same drug effects as marijuana as it only contains trace amounts of THC, the compound that makes marijuana addictive. (Hmm... Does that disappoint you? lol) It can be added to smoothies, baked goods, or pestos. It can also be turned into milk which is a good alternative to skim milk because it has fewer calories. I bought some chia seeds a few months back because they said that it's good for the digestion. I never knew that it is also a good source of protein. Chia seeds come from the Salvia hispanica plant which is native to Guatemala and Mexico. They are rich in protein, fiber, minerals, antioxidants, and a variety of vitamins. In fact, every 35 grams of chia seeds contain 6 grams of protein and 13 grams of fiber. Tastewise, they are very bland but you can add them to salads, yogurt, oatmeal, and even blended into a smoothie. Sesame seed is a popular ingredient when it comes to Chinese cuisine. Who would have thought it is also rich in protein and healthy fats? Actually, it's not just sesame seed, but most kinds of seed. Sunflower and poppy seeds are also good examples of seeds with a high content of protein. Make sure to add more edible seeds in your diet. Seitan is a popular meat substitute among vegans and vegetarians. It is made mainly from gluten which is the main protein in wheat and seasoned with salt and savory flavors to make it taste as meat-like as possible. It also closely resembles the texture and look of meat when cooked which cannot be said for other soy-based faux meats. 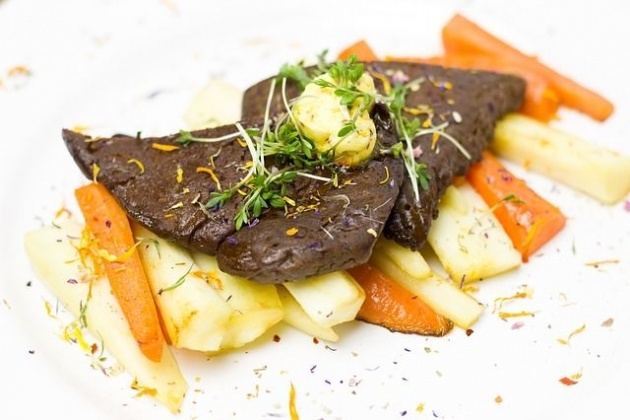 It is also packed with protein with 25 grams per 100 grams of seitan. Additionally, it can be prepared and cooked in various ways. It can be grilled, pan-fried, or sautéed. A word of caution: People with gluten sensitivity or celiac disease should avoid seitan. If you are lactose intolerant or just trying to cut back on your dairy intake, soy milk is a great alternative to cow milk. Don't worry, it is just as rich in protein and other nutrients such as calcium and vitamins D and B12. In fact, plain soy milk contains 7 grams of protein per 240 ml cup and fortified with minerals and vitamins. Just make sure to avoid the ones loaded with sugar and artificial flavors. Other milk alternatives are hemp, rice, and almond milk, although they don't contain as much protein as soy milk. 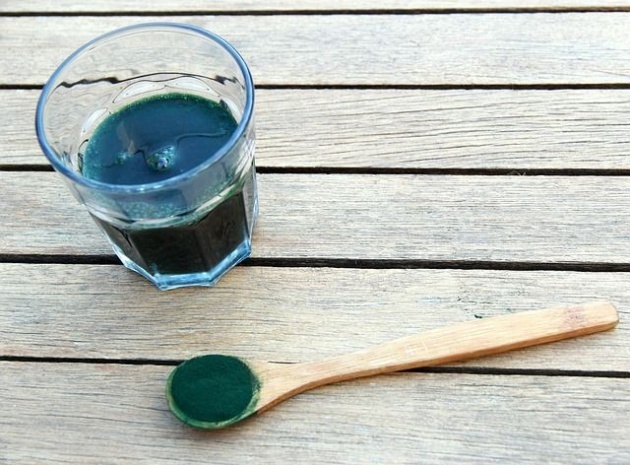 Spirulina is a blue-green, nutritional powerhouse algae. These blue-green algae may seem like any other algae, except they are packed with nutrients. Two tablespoons provide the body 8 grams of complete protein, as well as cover 22% of the body's daily iron and thiamin requirements and 42% of the body's daily copper needs. And, as if that isn't enough. It also contains decent amounts of riboflavin, magnesium, potassium manganese, and some other nutrients needed by the body such as essential fatty acids. But, wait! 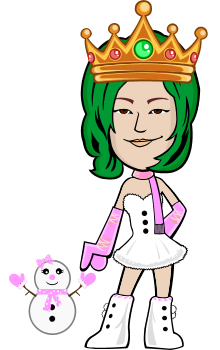 There's more. It also contains powerful antioxidant, anti-cancer, and anti-inflammatory properties courtesy of the natural pigment found in it called phycocyanin. Spirulina is normally prepared as a drink but it can also be added as an ingredient to other recipes. Watch the video below for more ideas. Oats, a very popular breakfast meal, is a delicious and easy way to add protein to your diet. About 120 ml or half a cup of dry oats has around 6 grams of protein, 4 grams of fiber, and decent amounts of zinc, magnesium, folate, and phosphorous. Oats don't contain complete protein, but their protein content is still higher in quality compared with other commonly consumed grains such as wheat and rice. Although oats are commonly consumed during breakfast as an oatmeal, it can also be added to veggie burgers, oatmeal cookies, or ground into a flour for baking. 240 ml of cooked lentils contain 18 grams of protein and decent amounts of slowly digested carbs, as well as around 50% of the recommended daily fiber intake. They are also rich in manganese, iron, and folate, as well as a good amount of antioxidants. Additionally, studies have shown that the fibers found in lentils feed the good bacteria in your gut keeping it healthy. They can also help reduce the risk of diabetes, heart diseases, and some types of cancer, as well as help the body keep a healthy weight. So, it is safe to say that lentils are nutritional powerhouses that you should include in your diet. 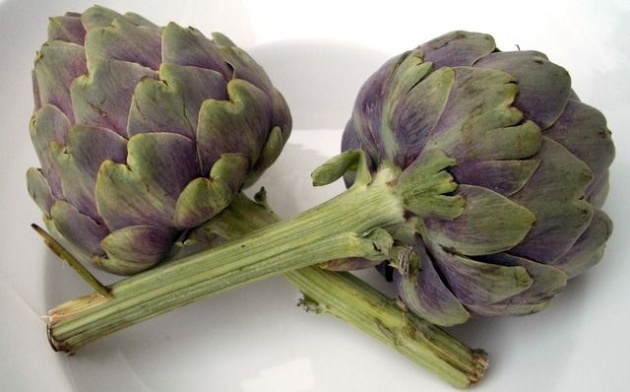 Artichokes have one of the highest protein counts among all vegetables. Additionally, a medium artichoke contains about 10.3 grams of fiber, which is twice more than kales and 40% of the daily fiber needs of the average woman. The other vegetables with high protein contents are spinach, broccoli, asparagus, potatoes, Brussels sprouts, and sweet potatoes. 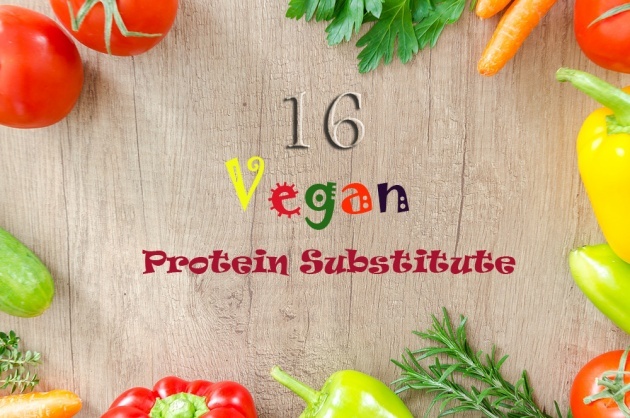 You don't need to eat meat every day in order to get your daily protein needs. In fact, you don't need to consume meat, eggs, or other dairy products at all with all these vegan protein substitutes. To make sure that you get enough protein and nutrients, make sure to consume a wide variety of vegetables, nuts, seeds, and lentils. Remember, a well-planned vegan diet can help eliminate meat from your diet without compromise to your daily protein and nutrient intake. First time I read about Quinoa. Very informative post.